For May, we did a few new activities and some old faithfuls that haven't been blogged about before that I will share on this post. We are heading into the summer break and though we'll be more relaxed, we are still going to be incorporating some learning experiences into life or what we consider 'unschooling.' We will have an opportunity to be a part of a community garden that we'll be volunteering in weekly and I plan to blog about our experiences working with the soil and the vegetables and our interactions with the other volunteers. This is the old faithful that we've done since last Easter (2013). The object is to match the upper case to the lower case alphabet. There is also a book that we read and identify the alphabet. This is an activity from age 3 and up. 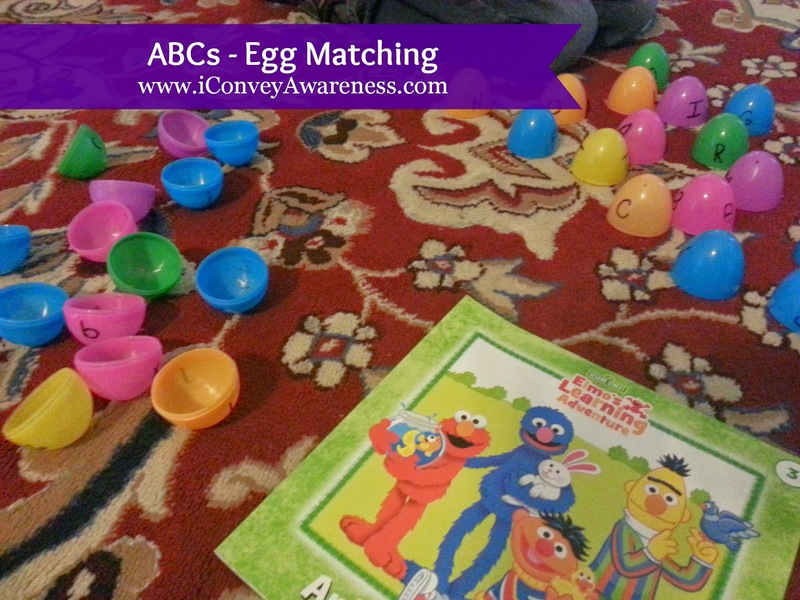 We refer to the activity for practice and it's great for sensory play too. 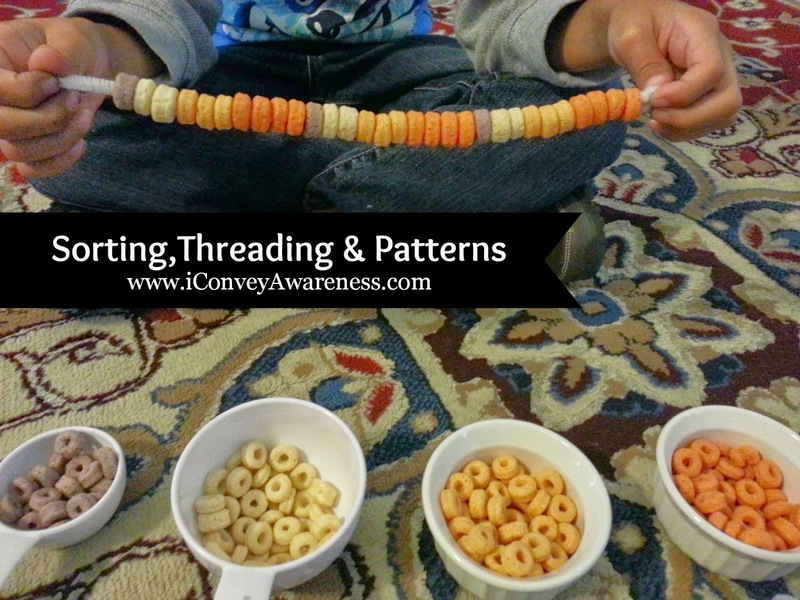 Using Trader Joe Os cereal, my son first separated them by color then without eating too many of them he created a pattern of the colors on the pipe cleaner. He ended up making two necklaces and eating them right away! We like the Trader Joe Os for the natural colors and the ingredients. Recipe: 4 cups of all-purpose flour to 1 cup of mineral oil (give or take). I added in a few drops of lavender essential oil to make it therapeutic. This is definitely an outside activity. We added some construction trucks for play time. We played together for about 1 hour in this sensory box. It was a lot of fun. The lavender kicked in and I got sleepy but my son kept playing but afterwards he was chill. 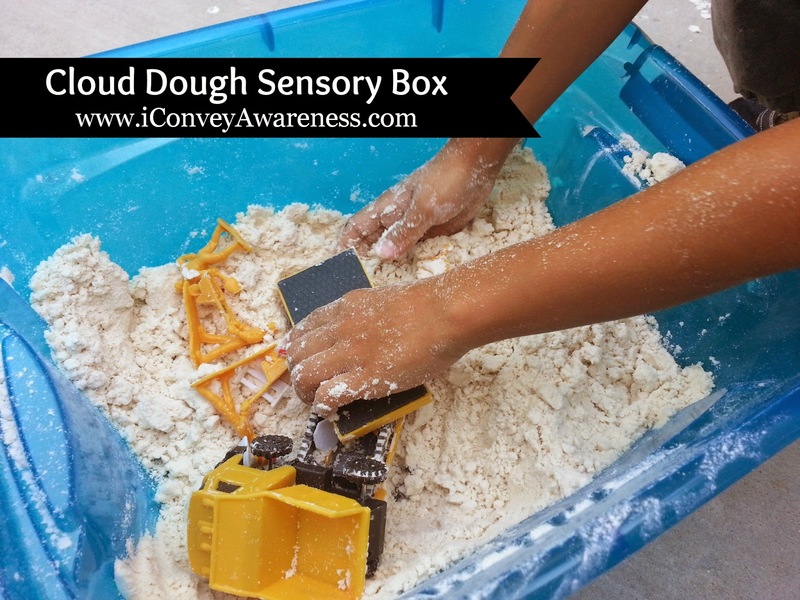 This is an inexpensive and rewarding sensory play! It's stone fruit season and we are blessed to have a plum tree in our yard and in our neighbors' yard. Our tree is not producing as much fruit but our neighbor's tree is! So my son and I took our step ladders and picked fruit. This experience set us up for our volunteer work in the community garden starting in June. 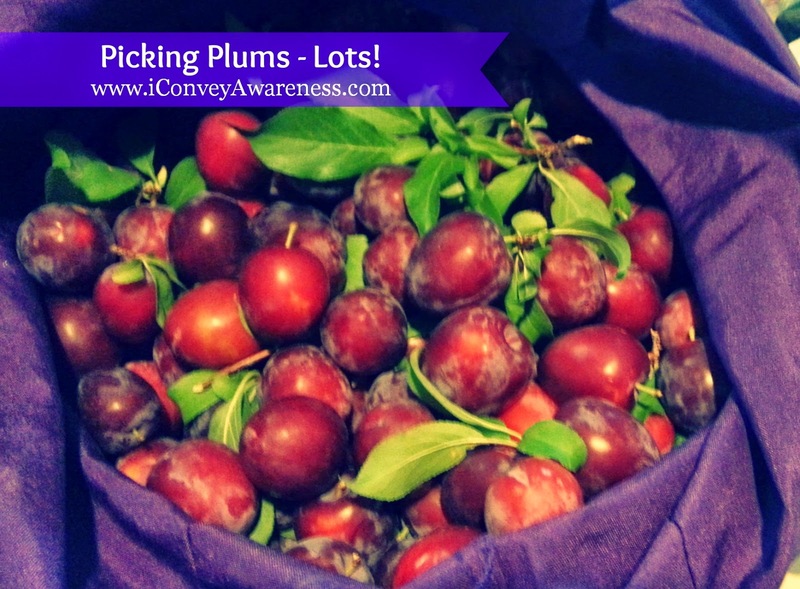 Next month or early July, the peaches, figs, and pears will be ready for harvesting. We use no pesticides on our trees. Just good eatin' here! What kinds of activities will you be involved in this summer break? Will you be incorporating any learning into it? Feel free to share.